I have become really interested in 20th Century knives. For the longest time I thought of these as not historical (maybe as my own father was born in 1926 and I grew up with stories of when the Hindenburg blew up and the time first man walked on the moon). 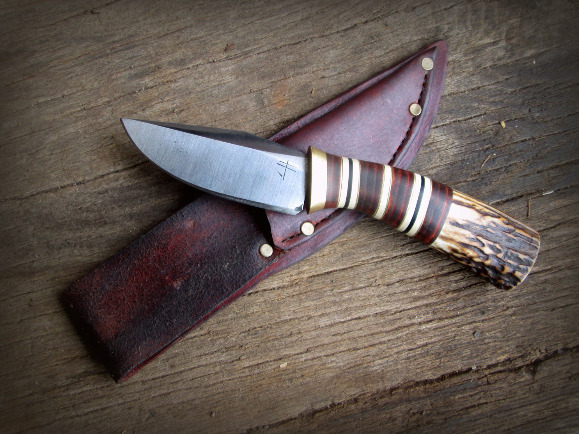 But I have fallen in love with these knife designs and there history through this very strange century. Above is my take on a Theatre Knife from World War II (think Pacific Theatre of War, not the stage). 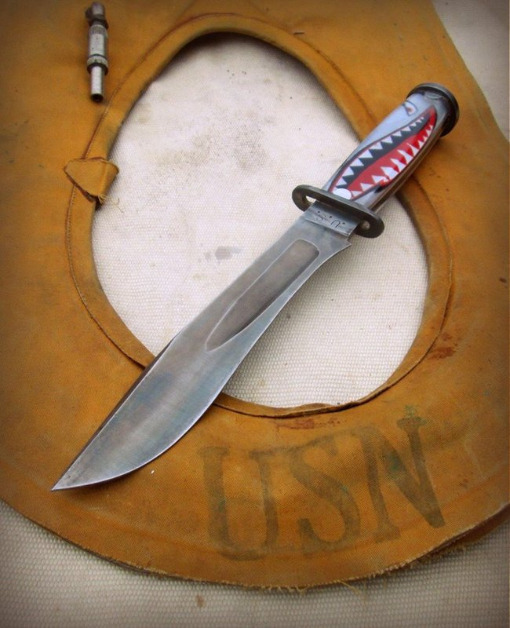 The Blade is based on the USN MK1 made by the Western Cutlery Co. ie the "Shark". Heavy re-curved steel blade, dual tang. Parkerized steel guard and pommel. The handle is the Shark Mouth hand painted aircraft aluminum under windscreen acrylic plastic. This Knife is a palm tool for cutting open sheafs of grain to place in a steam driven threshing machine, called a Threshers palm. During WWII and the Holocaust these became gruesome tools of death, known as the Srbosjek or throat cutter. This is my take on a Scagel knife. 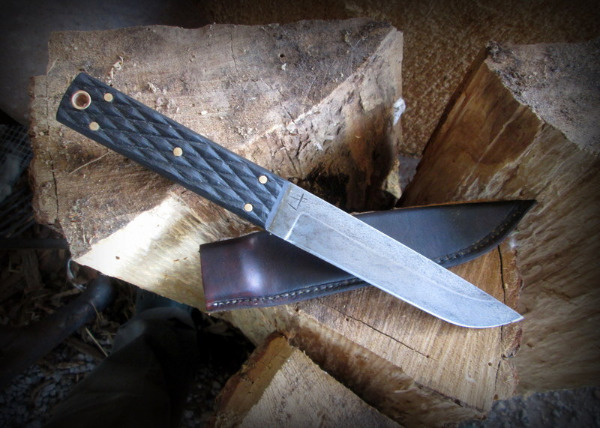 William Scagel (February 12, 1873 – March 26, 1963) was an American knifemaker whose style had a profound impact on the cutlery trade of the 20th century. 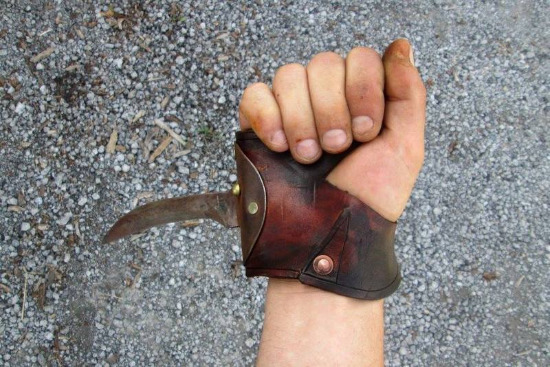 High carbon steel blade, stacked handle of leather and assorted placstics, with brass guard and antler pommel. 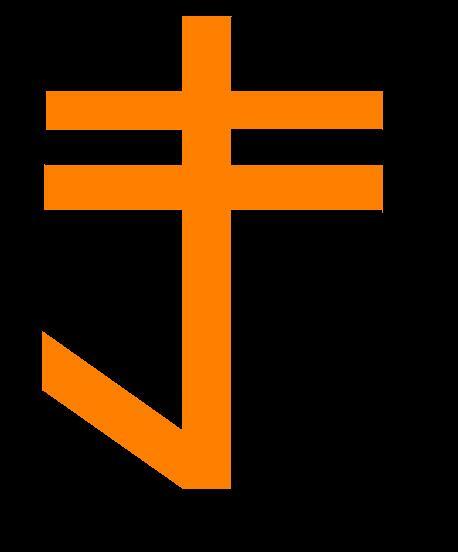 This my take on a Randell #2. 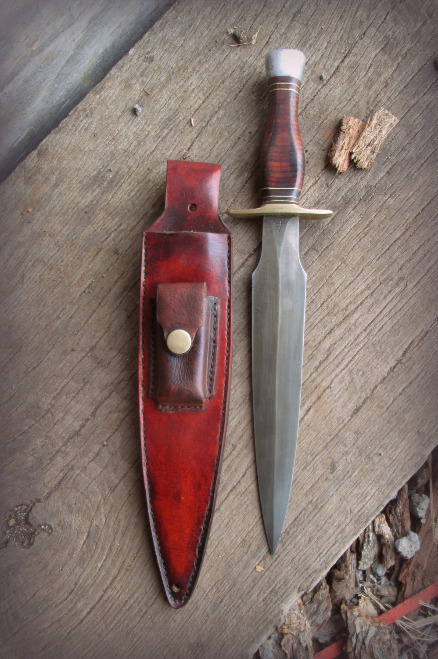 Made during WWII and onward into Vietnam the #2 was a favorite fighting knife of the Special Forces and other elite units.